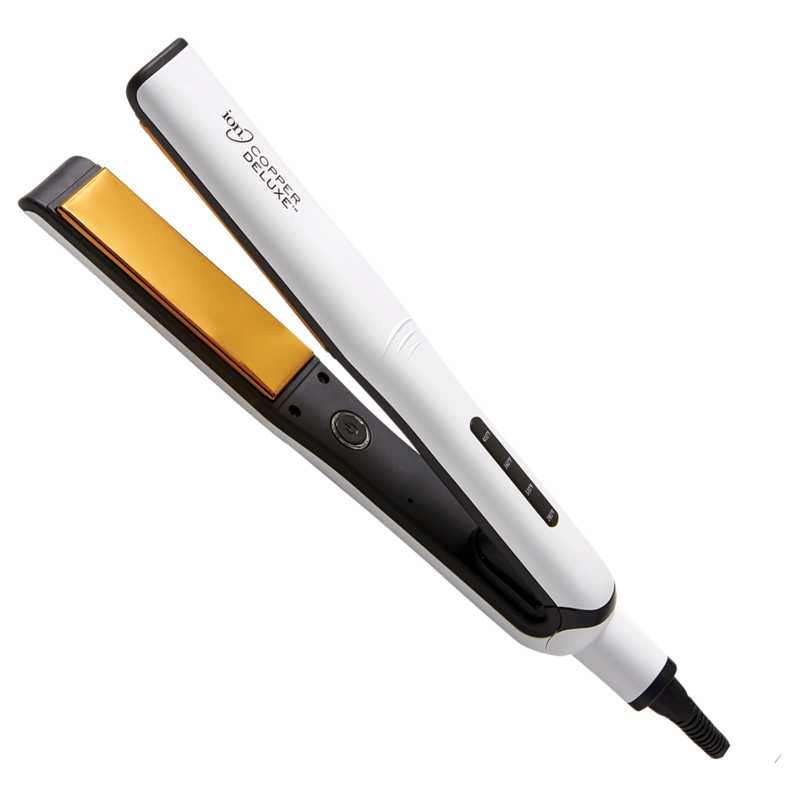 Welcome to the next generation of heat styling with the Ion Copper Deluxe Alloy Flat Iron 1.25 Inch. A natural element with superior heat conductivity and recovery means high performance styling, even at lower temperatures. Patented copper allow provides rapid heat transfer and recovery. To Turn On, press the On/Off button until the LED display turns on. To Turn Off, press the On/Off button until the LED display turns off. *Unique Copper Alloy provides rapid heat transfer & instant recovery. *Features real copper alloy plates as opposed to aluminum in traditional styling irons.